Chennai, one of the four major metropolitan cities of India, is also the capital of Tamilnadu - the exotic state famous for its cutworks in the temples, coconut fringes and silk saris. Well placed on the coastline of the country, it has number of tourist places for the visitor. The Marina beach, where the cerulean blue waters of the Bay of Bengal mingle with the golden sands, or the forts and palaces, which recapitulate the memories of the bygone era, Chennai is the most frequently visited destination of the tourists. The city is the true representative of the Dravidian culture and legacy. Once a fishing community, the metro city Chennai was made a capital of the British presidency in 1639. It was the bone of contention between the British and the French empires. 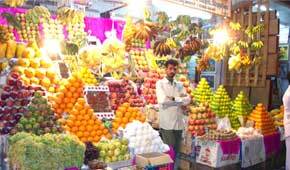 There are many tourist places in Chennai that are to be visited by the tourists in and around Chennai. The Marina beach spread over 13 kms, is the second longest beach in Asia. It looks like a festive ground on weekend evenings. The St. George Forte is another landmark of Chennai. It was built in 1653 by the British East India Company. Within the fort is a museum that houses a variety of British and French antiques and other commemorations and the St. Mary's Church, the first English church in Chennai. One of the many old temples of Chennai is the Parthasarthi temple dedicated to Lord Krishna. Built in the 8th century BC by the Pallavas, the temple was renovated in the 16th century by the Vijaynagar kings. Guindy National Park and Snake Park near the Guindy station have a unique collection of the snake species. Kapaleeswarar Temple, the oldest temple of Chennai, is dedicated to Lord Shiva, a living testimony of the architectural skills of the Dravidian people of the 13th century. Santhome Cathedral, the Birla Planetarium, Elliot Beach, Valluvar Kottam, National Art and Government Museum, Anna Zoological Park, Kalakshetra and the Theosophical Society are some of the other tourist places. On the outskirts of Chennai, one can visit Mahabalipuram, crocodile bank, Muttukkadu, Thirukkalukundram, Vedathangal bird sanctuary, etc. Chennai also celebrates a number of festivals celebrating the agricultural activities and the date is fixed according to the position of the stars and planets. Pongal, celebrated in the month of January, is the most important festival of Chennai. Being a cosmopolitan city, almost all the religious festivals are celebrated with a religious fervour. Chennai has domestic as well as international airports. The Kamaraj Domestic Airport and the Anna International Airport are located at Tirusulam, 20 kms away from the Chennai city. It is also well connected to all the major cities in India through a wide network of railways. 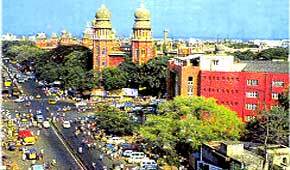 The main railway stations are Madras Central and Egmore.